Home » MyY Stories » MyY Stories » Laura S.
My Y story starts in Neenah Wisconsin in the YMCA preschool program. I then moved to St. Catharines where I enjoyed gymanstics, Gym/Swim & Crafts every Saturday morning, swimming lessons galore (in the lovely dark basement pool!!) and the BEST OF ALL summer Camp. 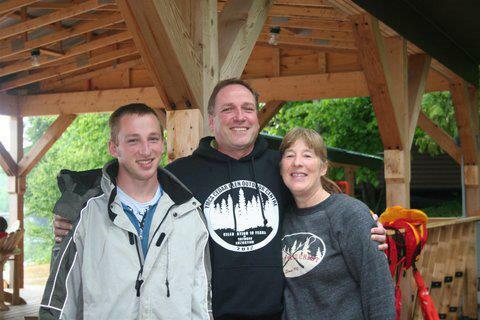 Camp Wa-Sa-Ah-Bun was my home as a camper, CIT, counsellor and as the assistant director where I met my future husband. We were just a boy and a girl in a little canoe who fell in love!! We then moved to Collingwood where the first YMCA building opened and I began what has become 30 wonderful years of volunteering as a fitness instructor! While in Collingwood, we directed YMCA Camp Wabanaki for 11 years where our son spent his fetal, infant, childhood years and now is a staff member who loves camp so much the Wab logo is tatooed on his shoulder! A move to Sudbury brought this fantastic Y into our lives where I have volunteered as a spin, pilates, step, yoga and anything else that needs to be taught instructor! 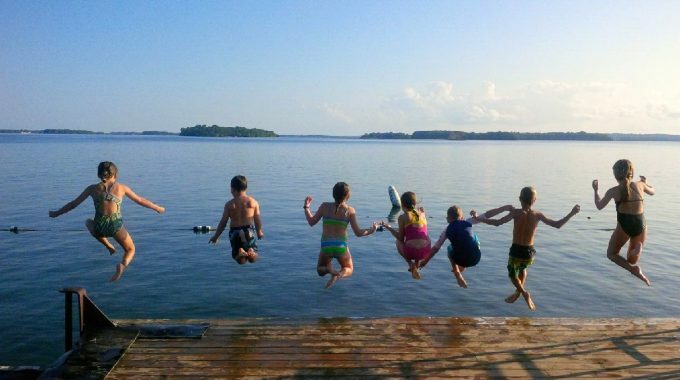 We have also enjoyed many days and weekends at YMCA Camp John Island!! It’s been a lifetime of the YMCA – can’t imagine a better life!!!! “Summertime, oh, summertime, pattern of life indelible…” wrote E B White. Our YMCA owned Camp Was-Ah-Ah-Bun on Georgian Bay (East coast of Lake Huron.) The waterfront was in a protected cove with a beach, and surrounded by trees. It was there I learned to swim and later qualified as a lifeguard. I learned canoeing skills and how to sail the little two-man skiffs. We had a great lodge and about sixteen cabins that slept eight each. We played hard at games and crafts all day long, we sang campfire songs in the evening, and when we went to bed at lights out the wind in the pines sang a lullaby to put us to sleep. I recently learned, to my sorrow, that the camp is long gone and is now a swanky suburb with homes in the low millions. But my memories of camp will always be precious. Even today, to banish stress and relax I just close my eyes and enjoy the memories of Camp Was-Ah-Ah-Bun.